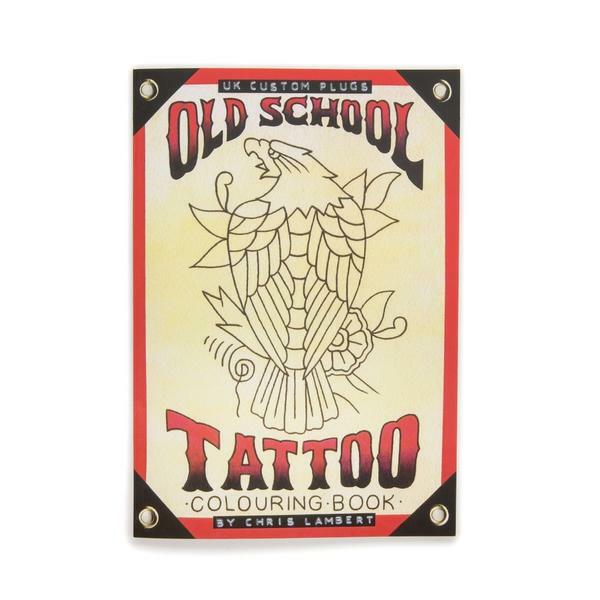 Colouring in for adults has been a thing for a while now. But who wants to spend hours colouring in floral wallpaper patterns when you could be doing something FAR more cool? 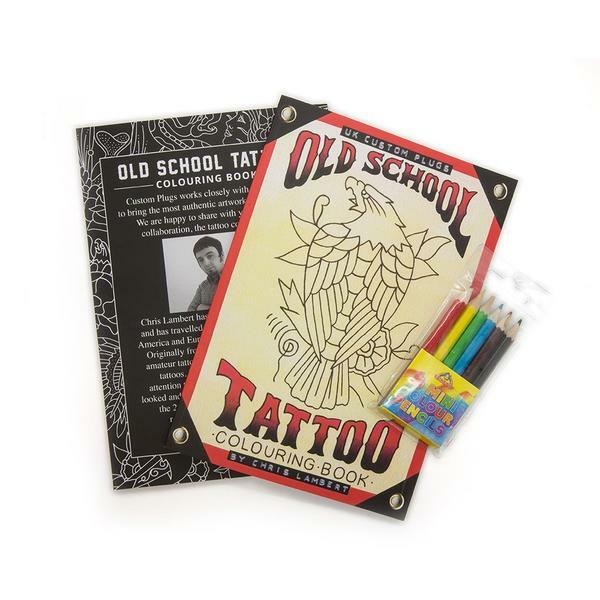 I’m pleased to say that the Old School Tattoo Colouring book, a collaboration between myself and Custom Plugs, is now out and available to buy from, well, Custom Plugs. I started collaborating with Chris and Matt from Custom Plugs a few years ago, as Matt is a long time regular customer of mine (and I’ve tattooed Chris as well in the past). I’ve designed three ranges of plugs for the so far, plus prints and accessories, all of which are still available to buy. But the colouring book is brand new! It has 17 old school tattoo designs to colour in, all designed by me and custom-drawn for the book. As well as the eagle that’s on the front cover, there’s a galleon, gypsy girl, skull, spider and more. Each book also comes with its own set of colouring pencils in the classic ink colours that have stood the test of time for generations. You’ll have to buy the book to find out all the custom designs inside it, and give it a go yourself… or buy a copy as a gift for that budding tattoo artist from the next generation. And remember – bold will hold… even on paper!